A name is a given identity one must have and it is even regarded as the basic rights for any man kind. A mononymous person on the other hand is an individual who is known and addressed by a mononym or “single name”. In Indonesia this situation of having a single name is nothing peculiar. 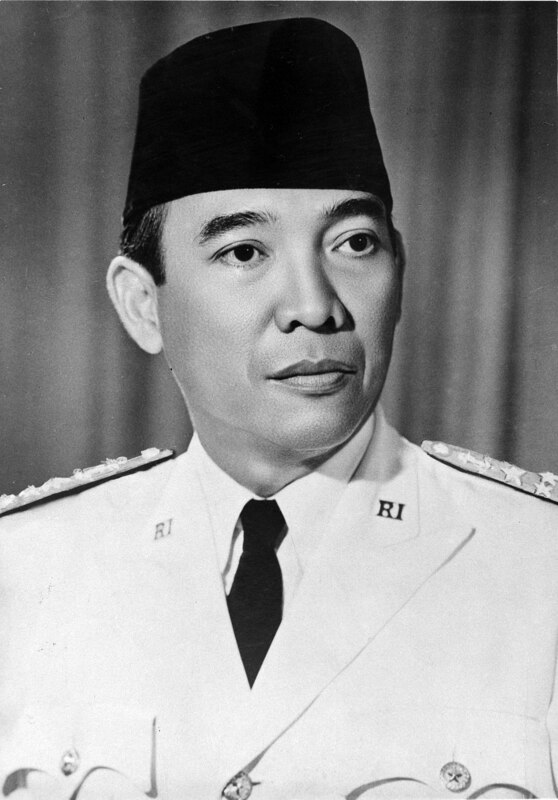 The most well-known example of mononymousity is likely Indonesia’s first ever President, Sukarno. So what about individuals with no last name at all? People who have to live with one name, not because of tradition or choice, but because of unfortunate historical and political circumstances? How does this shape own conception of roots and culture? What affect does constantly being questioned about self-identity have on a child growing up? Despite having only a singular given name, Western journalists in the 1960s sometimes felt it necessary to make up some random second name when writing about President Sukarno. Way back in 1967 Suharto mandated the assimilation of “alien individuals” (i.e. those of Chinese, Arabian, Indian descent) into the dominate national identity (i.e that of Javanese descent). One of the initiatives under this mandate were the prohibition of Chinese publications, Chinese-language schools, Chinese script in public, all forms of cultural and religious practices that could be traced back to the mainland China, and, ultimately, the forced adoption of Indonesian-sounding names to replace Chinese surnames. In 1970s, Indonesia was in the midst of a revolution under a new leadership, when the young and ambitious general coupe the first president Soekarno. The new administration was in turmoil. as the anti-communist purge (unresolved national tragedy in Indonesia) was only a few years earlier. More than half-million people were killed over alleged communist ties. Many Chinese Indonesians rushed to register their new “Indonesian” names as a sign of national loyalty. So Lim became Halim. Tan became Sutanto. Wong, Wongsodirejo and so on. This may be similar like the year when Japanese annexed the Korean peninsula and enforcing the local to adopt the Japanized family name to easily confirm, identify them and their loyalty. There were no clear guidelines to regulate how, exactly, Chinese Indonesians were supposed to change their names. Some Chinese Indonesians adamantly insisted on keeping their original Chinese last names by resorting to bribery. There was no actual rule of law penalty for keeping you original name back then, aside from the social-pressure which includes constant bullying, especially in mainland Java. 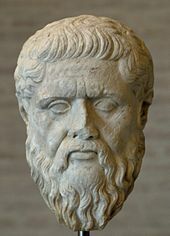 The wise man of classic age, Mr. Plato is also a mononymous guy. Royal families and emperor of Japan are also mononymous individual. In some cases, that name has been selected by the individual, who may have originally been given a polynym (“multiple name”). In other cases, it has been determined by the custom by some interested segment. Corrupt officials took advantage of the confusion and started extortion schemes targeting Chinese Indonesian families. You now had to change your name, and pay a bribe for the privilege of losing your heritage as well. It cost a premium to register a last name with the local government, regardless of your ethnicity. Birth certificates was expensive. Many families didn’t get a birth certificate for their child at all. Others were forced to register only one name for themselves or their children. However, the Arab-Indonesian descendant did not necessarily face such difficulties. Mononymous people, or people with a singular given name, were once the norm throughout much of the world. Now, most of our infrastructure is built to accommodate people with at least two names- invariably a first name and a surname with the occasional embarrassingly antiquated middle name in homage to some ancestor, religious believes or other for good measure. So what’s in a name? 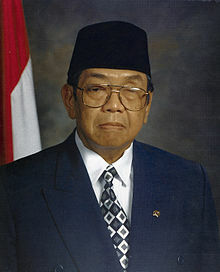 Abdurrahman Wahid, Indonesia’s 4th president is descended from a well-known Moslem missionary from China known as Syekh Abdul Qadir Tan Kiem Han who was a disciple of Sunan Ngampel-Denta (Raden Rahmat Bong Swie Hoo) – who became one of the first Kings who islamicized Java in the 15-16th centuries. There is an existential crisis that comes along with not knowing where Indo-Chinese affiliation truly lies, whether it’s familial, cultural, or national.they are being forced to navigate through transnational waters like a lost ship without an anchor, developing an unhealthy obsession towards choosing romantic partners based on their last names. Perhaps the cure to all these “issues” is applying to the district court for a last name, especially now that one’s “Chineseness” is no longer as vilified as it was in the past.